The Dodge Charger is building up a movie resume almost as prolific as Michael Caine's. The 1970 Charger was the real superstar of "The Fast and the Furious" (sorry, Paul Walker). 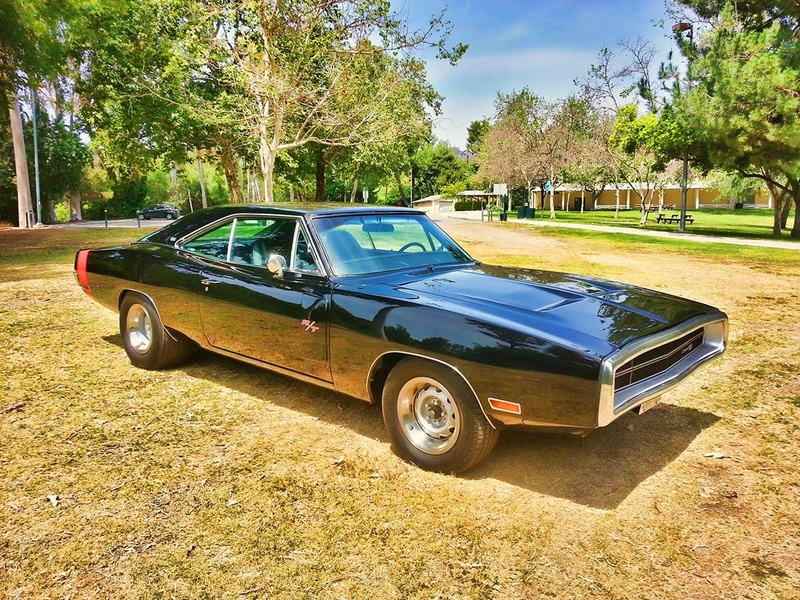 The 1970 Dodge Charger came in three versions -- base, 500 and R/T, with an optional SE package that included leather seats, a wood-finished steering wheel and an electric sunroof. The base model had a measly slant six with 145-horsepower, while the 500, no longer a performance model, was offered with a 318 standard or the 383 two- or four-barrel carb. The big addition in the R/T models this year was the 440 Six Pack, getting 390 bhp. The three 2-barrel carburetor was an alternative to the 4-barrel, 375 bhp 440 Magnum. The 426 Hemi was given hydraulic lifts. Cosmetic redesigns included a chrome front bumper surrounding the no longer divided grille and a full-width taillight setup. Backward-facing body scoops on the front doors show up on the R/T model. Bench seats were standard, with optional high-back buckets and fold-down center console available on the 500 and R/T models. The ignition was moved to the steering column, and the gear shifter changed to a pistol grip. You had your choice of either bumblebee striping or a single longitudinal stripe. It's no surprise that owners love this car's high performance and speed, speed, speed. Its only drawback is its gas mileage. Not many Hemis or 440s were ever sold (less than 1% of all Dodge Chargers that year), so they are somewhat rare.